Integra is a consulting and systems integration firm headquartered in Waltham, Massachusetts. We deliver the expertise to integrate and optimize database technologies to improve business results. With expertise in both Relational and NoSQL Database Management Systems (DBMS), we can help your company select and implement the optimal technology for managing and making the most of your data. In today’s competitive environment, companies seek innovative and powerful ways to leverage technology to meet their needs. Choosing the optimal technology and deploying it optimally requires practical expertise and unbiased knowledge. 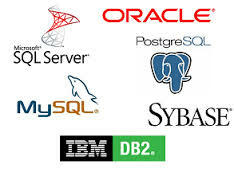 Integra’s hands-on experience with the leading database technologies - both old (RDBMS) and new (Hadoop / NoSQL) - will help you make the most of your investments in technology. We’ll show you how to best leverage your most important company asset – your data – and turn that data into valuable information and actionable knowledge for your business.